Bring joy to your home with one of these beautiful and innovative original textile pieces. 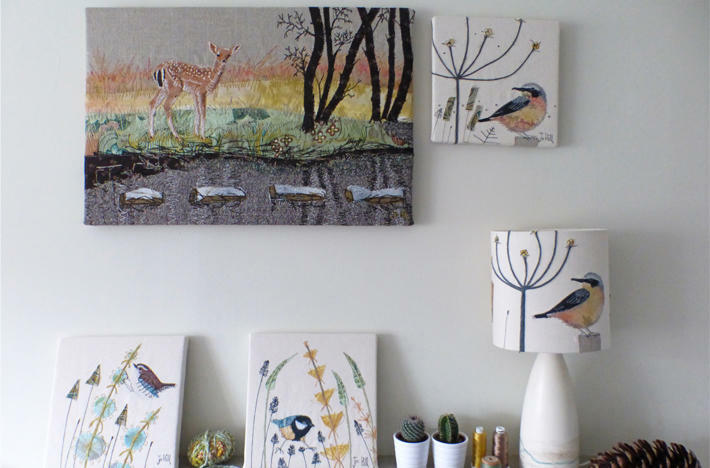 These unique chairs, cushions, wall hangings and lampshades are all handmade by Jo. Celebrate nature and the uniqueness of the British countryside! If there is a particular bird or animal that you would like me to recreate in my signature style, please visit my commissions page - I'd love to hear from you. 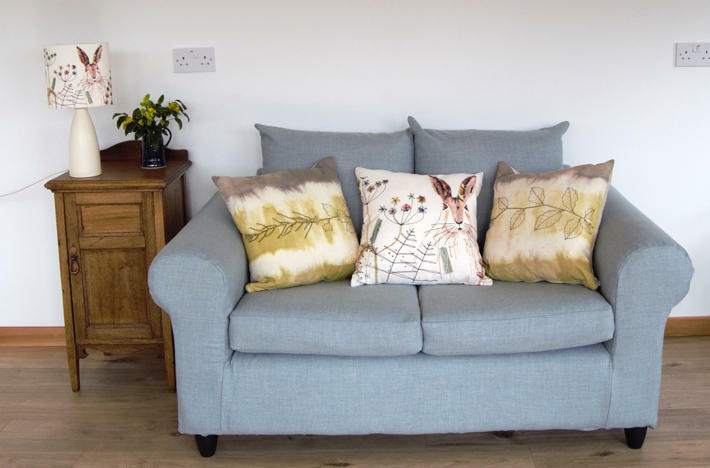 It is a joy for me to be able to spend each day in my cosy studio bringing fabrics and threads to life, creating contemporary, tactile pieces which will inspire love and warmth in any home. Each piece is a one-off. All are handmade by me, Jo Hill, in the UK.